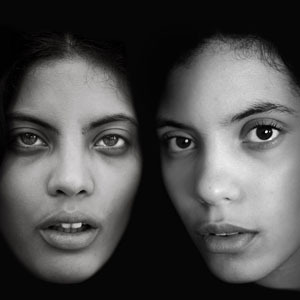 Ibeyi is a music group made up of French Cuban twin sisters Naomi and Lisa-Kaindle Diaz. Their songs blend English and Yoruba, and the name Ibeyi translates from Yoruba as twins. The songs are made up of percussion beats and piano melodies, and it’s a mellow style that I really love. Ibeyi are on tour right now, and I’m hoping to see them at Unaltrofestival in Milan July 7th, where they’ll be performing with Of Monsters and Men, Christopher Paul Stelling, FYFE, and Dardust. You can find out more about Ibeyi on their website, which has links to their eponymous first album, a list of upcoming tour dates, and a collection of photos of the artists. This entry was posted on Tuesday, May 5th, 2015 at 9:16 am and is filed under . You can follow any responses to this entry through the RSS 2.0 feed.